Wolfgang Korn Born in Dessau in 1943 studied architecture at the Art College (Werkkunstschule) in Krefeld from 1964 to 1967. Having completed his professional education he applied with the German Development Service for Nepal. For the first three months of 1968 he worked for the Physical Planning Section of the Department of Housing and Physical Planning of His Majesty's Government of Nepal where he designed a few government buildings. 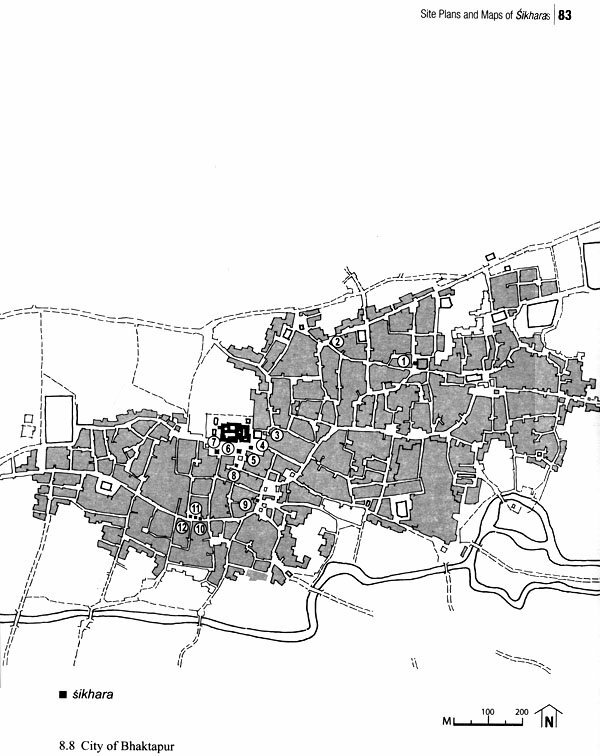 He went on working as a group leader in the Town Planning Section for surveying all temple sites outside the settlements, the Durbar Squares of the three royal cities as well as other important monument zones published in the 'Physical Development Plan' by the end of 1969. These initial surveys were later extended and incorporated in two volumes published by UNESCO in 1975: 'Preservation of Physical Environment and Cultural Heritage - Protective Inventory'. In 1970 he published an article on the architecture of the Kathmandu Valley in Germany's most popular architectural magazine, Bauwelt, incorporating the first measured drawing of the Nautale Durbar of the old Kathmandu palace. 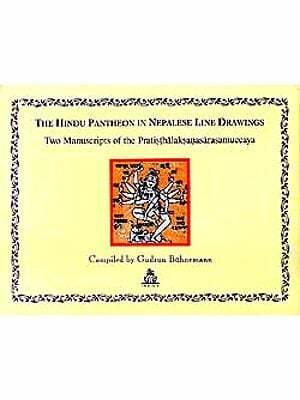 With a scholarship of the Rockefeller Foundation in 1970 he prepared drawings of the Indrasattal in Kharpu, the Kasthamandapa and Lakshmi-Narayana Sattal of Kathmandu Durbar Square but also other buildings - many of which Mary Slusser published in her monumental work, Nepal Mandala in 1982. 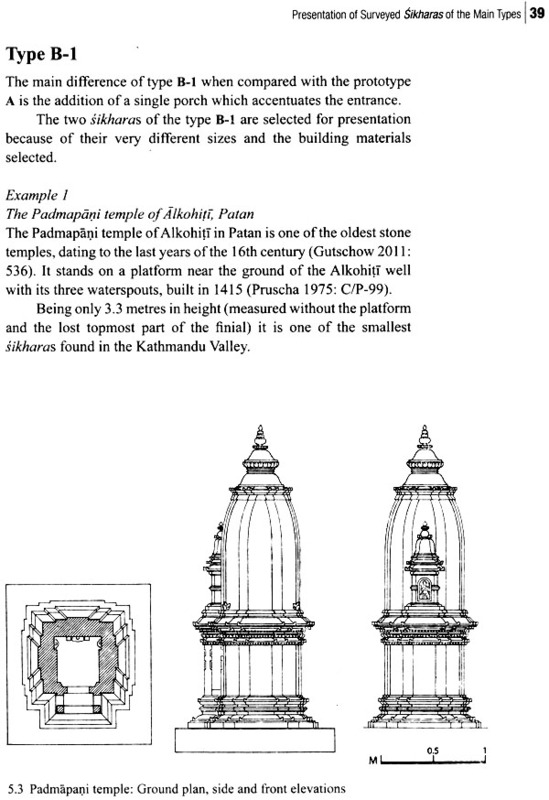 These were the first measured and published drawings of Newar architecture which supported a distinct typology. His most extensive survey was the one of the Pujarimath in Bhaktapur in 1971. This Hindu priest-house was later restored by a group of architects from Darmstadt, Germany. From January to April 1972 he worked for the 'Temple Catalogue Project Nepal' documenting all existing temples (pagodas) with a few detailed surveys of temples. After a short period back in Germany he returned to Kathmandu at the end of July 1973 to join the Hanuman Dhoka Renovation Project in Kathmandu, a project of UNESCO for a period of four years. Independently he kept on documenting temples, monasteries, palaces, private houses, etc. which allowed him to publish his the first book on Newar architecture, The Traditional Architecture of the Kathmandu Valley in 1976. In 1979 he joined the State Conservation Office in Hessen, Germany and published the book, Licchavi Caityas im Kathmandu- Tal in German in 2004. Though he left Nepal in 1978 he continued his research on Sikhara-temples as well as stupas/chaityas and prepared all necessary drawings on the basis of the surveys he carried out in 1968 and 1978. The outcomes of these works are The Traditional Newar Architecture of the Kathmandu Valley: The Sikharas and forthcoming The Newar Architecture of the Kathmandu Valley: Stupas and Chaityas. I came to know Wolfgang Korm in 1975 when he would often visit the Institute of Nepal and Asian Studies (INAS) at Gandhi Bhavan, Tribhuvan University in Kirtipur where I was then a Research Assistant. He was working on a manuscript of traditional architecture in the Kathmandu Valley and needed assistance in transliterating local place names. He asked me and the late Dhanavajra Vajracharya, a noted epigrapher and historian, to assist him as we were both Kathmanduites and native speakers of the Newar language. 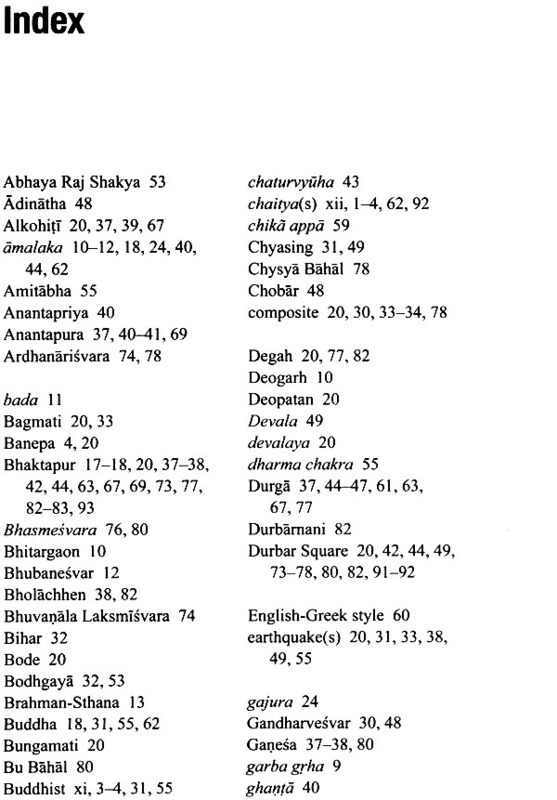 Vajracharya and I then prepared a list of local place names to assist Korn. Professor Pragya Raj Sharma, Dean of INAS, wrote a foreword for the publication. Since its publication in 1976, The Traditional Architecture of the Kathmandu Valley has become one of the milestone works in Nepalese traditional architecture, and has become a significant reference work for both students and scholars working in this field. It is no wonder that it has undergone a fifth reprint with technical improvements. Its salient feature is the architectural drawings based on Korn's own measurements of historic buildings in Kathmandu. Though these measurements and drawings were done in the late 1960s and 1970s during his studies of Newar architecture, they are still state-of-the-art today. In 2003, his second book Licchavi-Caityas im Kathmandu-Tal: Eine Typendarstellung Fruher Buddhistischer Kleinmonumente was published in German in the same format of his earlier work. The sikharas built by the Newars in the Valley are considered monuments of classical antiquity. However, there is not a single exclusive publication on them. 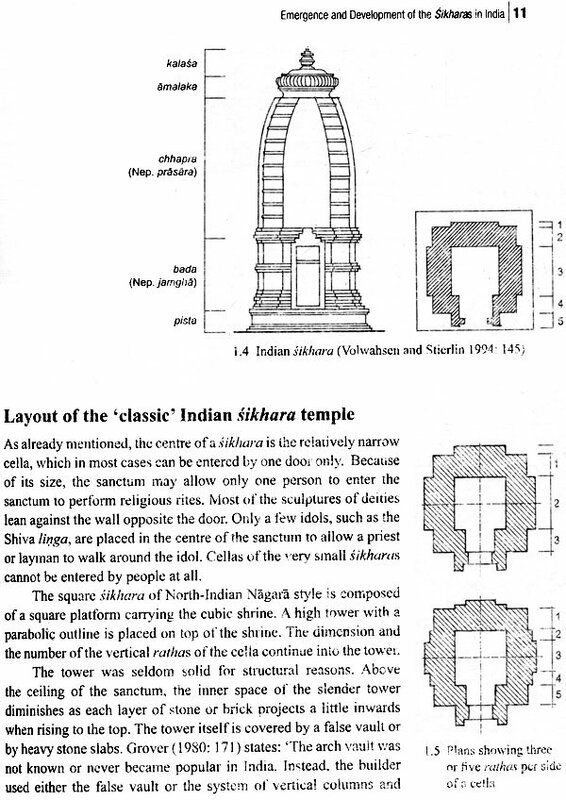 Several leading publications of Nepalese architecture seldom mention sikhara architecture comprehensively enough, let alone their types, building materials or site plans. In The Traditional Newar Architecture of the Kathmandu Valley: The Sikharas, Korn not only documents them but also describes the different types of sikharas on the basis of his own systematic and measured line drawings including the historical development. Korn's forthcoming work on the stupas and chaityas is going to complete a trilogy of his works on Newar architecture of the Kathmandu Valley. These works would no doubt make a valuable contribution to the Newar architecture as well as de facto references for future generations of scholars and students. He has the well- deserved reputation of being an independent scholar who has devoted himself to Newar architecture for the past four decades. In the past, most publications dealing especially with Nepalese building tradition have presented the Hindu temples in the form of the so called 'pagodas' and the Buddhist sanctuaries, the stupas and chaityas, found in the Kathmandu Valley. In contrast, the massive towers built in brick or stone called sikharas are mentioned comparatively seldom and not comprehensively enough. In 1975, the first recording of historic monuments (i.e. temples, monasteries and historic sites) was published in the form of a catalogue. Each monument was represented by a photograph, a site plan and a short description. In 1976, my book, The Traditional Architecture of the Kathmandu Valley, was published, dealing with buildings with slanting roofs such as the multi-tiered temples, the Buddhist monasteries, Hindu priest houses, residential houses, palaces and guest houses. 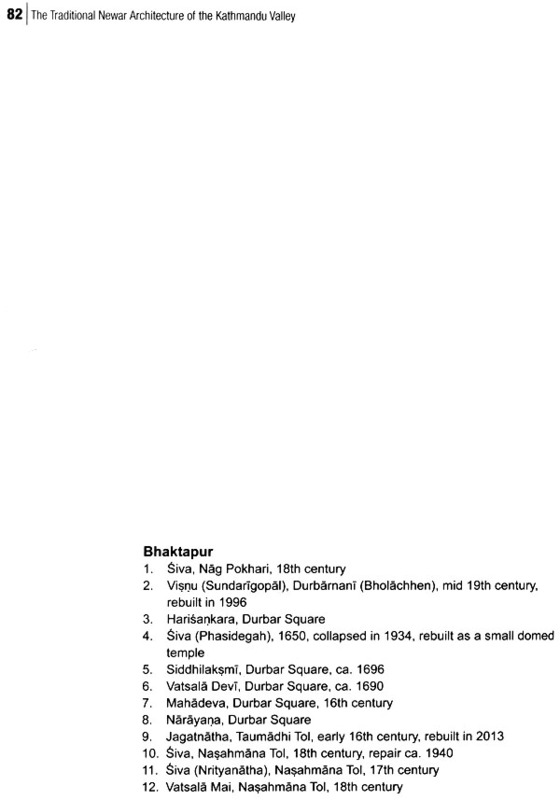 It did not mention the Buddhist stupas, chaityas and the sikharas. In 2003, my study on Licchavi Caityas im Kathmandu Tal was released in German. The book about the Buddhist stupas has yet to be translated into English and published. With this publication of the sikhara temples, the trilogy of my studies completes. 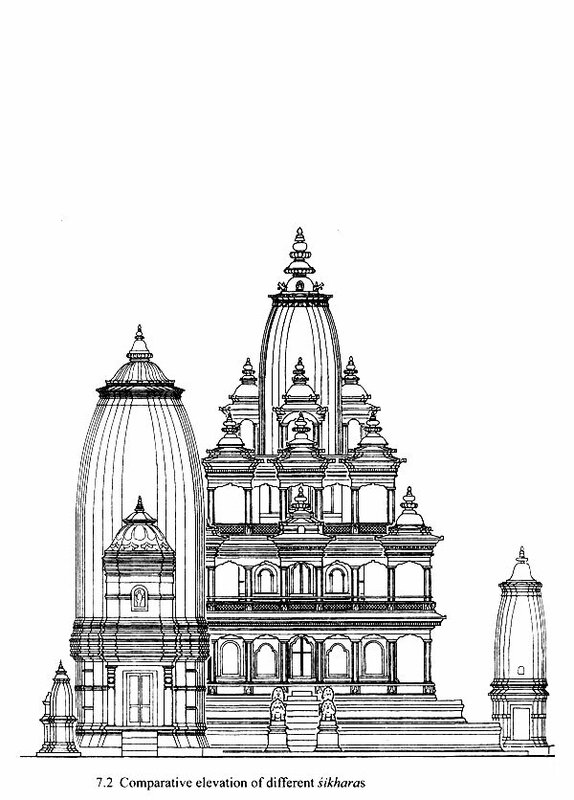 As in my first book, the different types of sikhara temples are represented by technical drawings only. In 2011, the most comprehensive, three-volumned work of Niels Gutschow, Architecture of the Newars, appeared in the market. 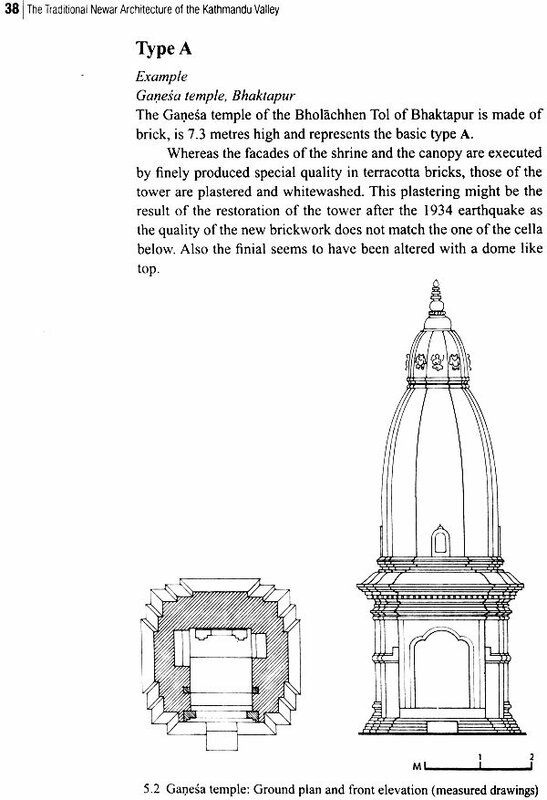 Its immense value is not only in the many, most detailed drawings ever prepared in Nepal and the photos of all aspects of the Newari building history and building types, but also in the volume of information concerning the building history. At the outset I have talked about the 'Nepalese' building tradition as it appears in most publications and studies. It would have been more correct to call it 'Newar' as it was the Newars who created this culture. The Newars are the ethnic inhabitants of the Kathmandu Valley and the neighbouring valleys of Banepa and Panauti. They were the dominant power in a long stretch of the now Nepalese Himalaya, ruling from the Kathmandu Valley which was earlier called Nepal Valley. As the culture of the Newars was neither followed by the surrounding ethnic groups nor 'exported' by the Newars to surrounding areas, it was confined to a geographically narrow area of about 25 by 25 kilometers. It is, therefore, more correct to talk about the history or 'culture of the Newars' as Niels Gutschow does. For better understanding of historicity and ruling dynasties mentioned in the following pages, here is a short summary. The Kathmandu Valley, with the changing influence of surrounding areas, established its own general history as well as its art and architectural history towards the end of the second century CE. 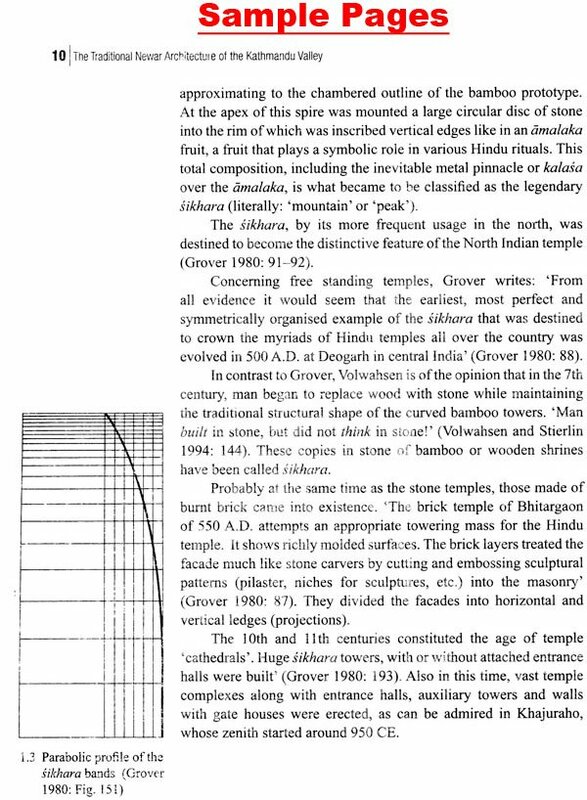 Licchavi Era (mid-second century-879) The first authentic date is the year 185 CE found at a stone sculpture of the ruler Jaya Varma. If this sculpture was commissioned by a Licchavi ruler it is established that a branch of the Indian dynasty started to rule the Kathmandu Valley around the middle of the second century CE. Only in the 6th century do more dates appear in stone inscriptions through Chinese travel reports. This, together with the many art effects and architectural remains, provides proof of a very developed society and confirms that this era can be called the 'classical era' of the Kathmandu Valley. Towards the end of the 8th century the decline of the Licchavi empire began, and it ended most probably in the year 879. This period seems to have lasted until the beginning of the 13th century and is generally described as the 'dark' or 'transitional' period since very little information and very few architectural remains and art effects have been found. In the early of the 13th century a dynasty appeared calling itself 'Malla'. In the year 1382, however, the ruler Jayasthiti, calling himself also 'Malla', founded a dynasty which ruled the Kathmandu Valley and surrounding areas until 1769. Despite the fact that not very much is known about the 14th or 15th century, it was the beginning of a cultural renaissance clearly visible from at least the end of the 15th or beginning of the 16th century, Science, art and architecture rose to a great splendour and survived until the present time, which can still be regarded with amazement. In 1769 the Shahs took over the power not only within the Kathmandu Valley but also in almost all those areas which later became the modern 'Nepal'. There was a break in their royal power as the Ranas took it over, making the Shah kings figureheads in 1846. In 1951 King Tribhuvan Bir Bikram Shah Dev regained the control for his dynasty. In 2008 King Gyanendra Bir Bikram Shah Dev was ousted from the royal palace by Nepali Congress, Communist Party of Nepal - UML and Communist Party of Nepal - Maoist. The 240-year-old Hindu monarchy and the Hindu Kingdom of Nepal came to an end. Nepal was declared Federal Democratic Republic.